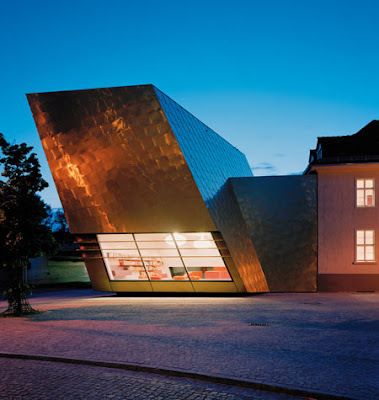 Berlin architects Ralf Fleckenstein and Katharina Feldhusen of FF Architekten in collaboration with Martina Wronna have completed a new public library in Luckenwalde, Germany. 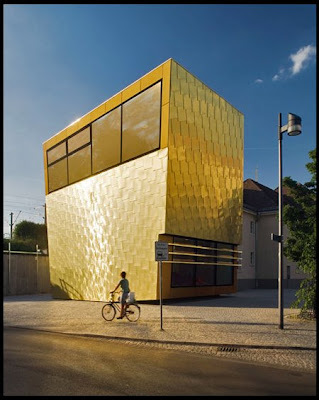 The project involved the conversion of a former railway station into a public library and includes an extension to the existing building that houses the children’s library.The inclined walls of this annex are clad in shingles made of a copper-aluminium alloy. 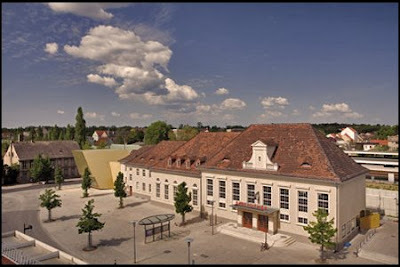 As part of extensive renovations and the modernisation of a former railway station in the German town of Luckenwalde in the state of Brandenburg – about 50 km to the south of Berlin –, an annex was incorporated into the existing buildings. 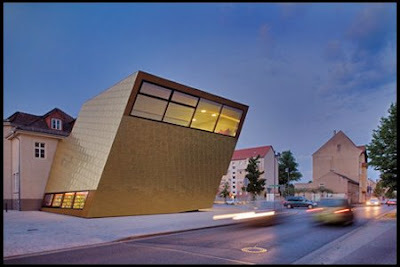 The project has set a striking example, not only from a town planning point of view. 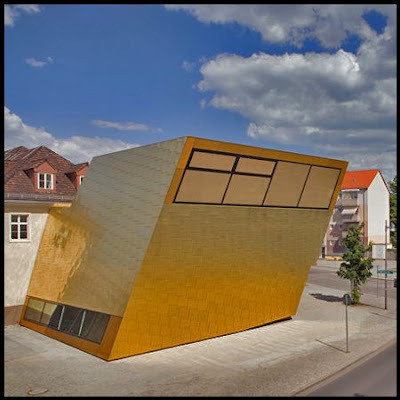 Behind the glittering TECU® Gold façade are the children’s and youths’ sections of the buildings that are now used as the town library. 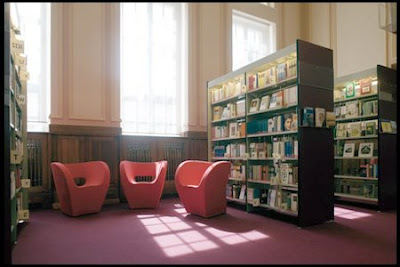 In view of the problems in the built-up surroundings of the complex, the shape and design of the façade challenges people to consider the potential town development has for change – and, above all, they offer the younger generation an inviting, lively and modern town library. Luckenwalde is just 30 minutes by train from the centre of Berlin. This close connection to the capital city through the Berlin-Leipzig-Dresden railway line was a result of the dynamic economic developments taking place in the region at the end of the 19th and start of the 20th centuries. Back then, many companies, mainly in the textile industry, chose to settle in Luckenwalde. A well-known architectural heritage of this glorious past is the hat factory built by Erich Mendelsohn between 1921 and 1923.